Since the draft text for B/X Essentials: Classes and Equipment was completed two weeks ago, I've been working on the layout. One thing took me by surprise: this book is longer and more difficult to lay out that Core Rules was. The cause? The number of large, complicated tables. It's been a lot of fiddly work getting big tables like the class level advancement tables and the sea vessel charts to fit nicely on these small, 6"x9" pages. But: I have done it. The rough layout is complete. All the text of the book is cleanly set up on pages and spreads and I'm now going through tweaking things to look nice. 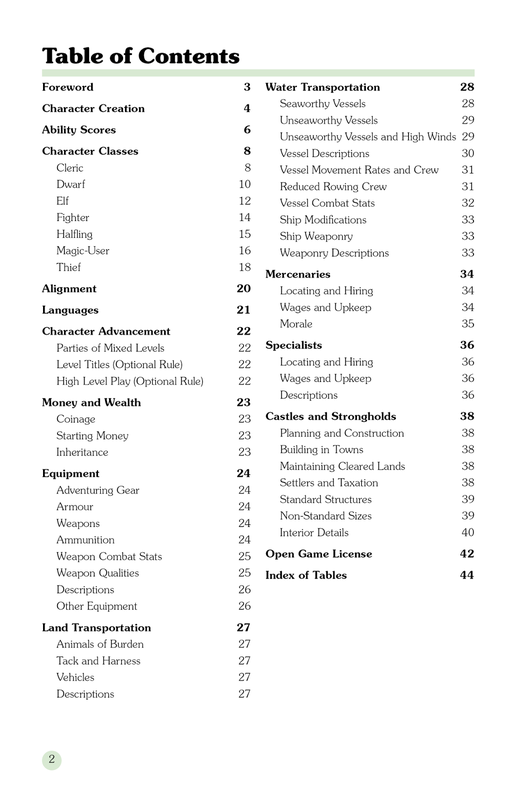 Each of the class descriptions (including all required information and charts!) fits on one or two pages. Guaranteed no page flipping required! 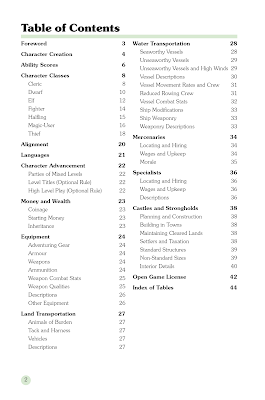 The basic equipment lists -- adventuring gear, armour, and weapons -- are all presented on a single spread (including all related combat stats). Again, no page flipping! Everything you need when going shopping is all in one place. That's all for now. I'll post more updates as I progress! The planned late Nov / early Dec publication date is looking accurate. Good news, that might just be my xmas present to myself.